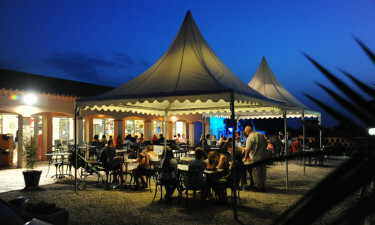 Camping La Coste Rouge is a luxury camping site that will make you fall in love with the camping experience. Set between the Pyrenees and the Mediterranean, this campsite is ideally located to offer the ideal camping holiday with a touch of class and comfort. Camping La Coste Rouge has everything you need to experience luxury camping at its best: a great location, friendly staff, and superb amenities. This is the right choice if you're after a campsite where every family member can enjoy the beautiful outdoors. Get in touch with LuxCamp to find out more or book your luxury camping holiday in Southern France. 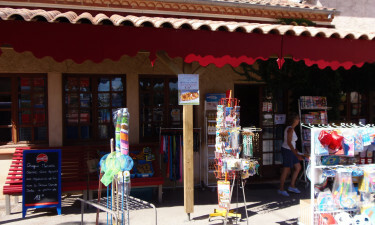 Why choose Camping La Coste Rouge? 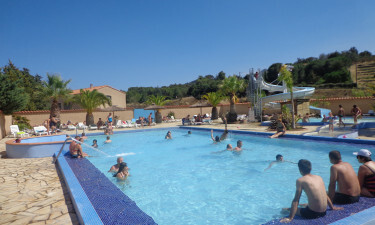 If poolside relaxation is what you're looking for, you'll feel right at home at Camping La Coste Rouge. In addition to a large swimming pool, this luxury campsite offers a small pool suitable for children, and a shallow paddling pool where the little ones can safely learn to swim or simply have fun in the water. Imagine waking up in our luxury mobile home and going for a peaceful and scenic stroll along a Blue Flag beach. At Camping La Coste Rouge you can do this, as there's a golden sand beach located only 1.5km away from the main campsite area.